I don't understand what you want. "-annotate +X+Y hello" will offset the string by +X+Y relative to the gravity setting. With "-gravity North", this is relative to the top-centre of the image. somebody should please help me, pls. Try this. Create each line of text using label:. Then append them using -smush to put the 20 pixel spacing. Then composite that over a white background at your desired location. 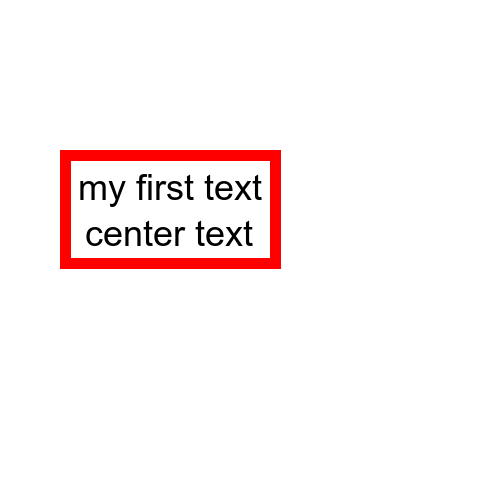 Adjust the border spacing and color and text color and font and point size as desired. @fmw, u're using the label image operator, could t be possible to use the annotate IO.i really appreciate ur suggest above. 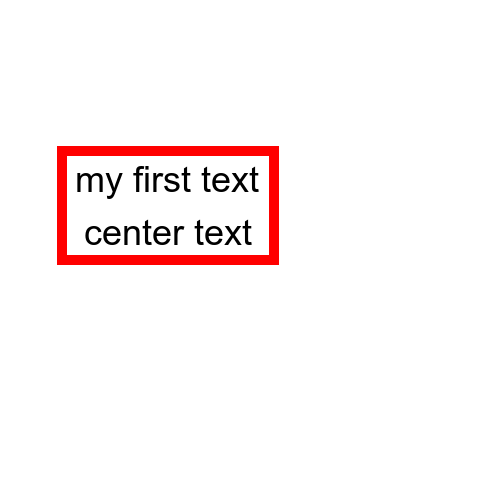 You can use annotate, but you need to do one annotate for each line of text and provide the exact location where you want the text to be located. You can chain the two annotates in the same command line. But -annotate does not draw boxes. So you would have to add a -draw "rectangle x1,y,1 x2,y2" to add that. My label command seems the easier way to go so that I did not have to located each line of text separately and draw the box separately. putting bracket around command, what does it help u to achieve? and pls is there any book that could be recommend as to teach me, hw to write imagemagick command. Am using IM for a project and its taking me time to learn and understand the flow of the script. could u pls show me an example IM command of ur last comment. Here is the command written with annotate and draw, but I had to tweak it several times to get it aligned properly. The advantage of the label method is that it aligns automatically. its not working. can u pls help me fix it. You need a space after each "(". I suggest you capture and report errors. @snibgo , pls hw do i capture and report errors. can u give me the snippet to report error. I don't use PHP. There are examples on these forums.